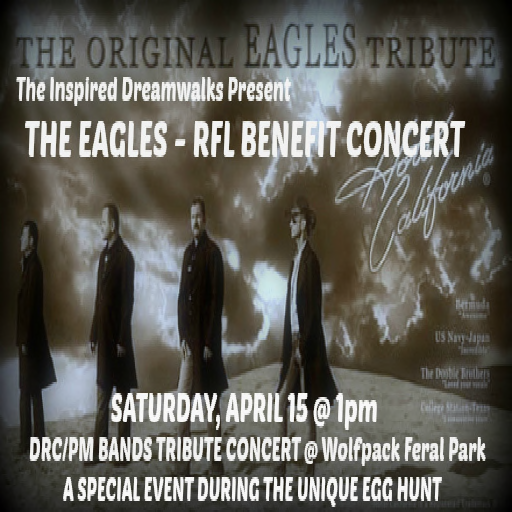 Come join the Inspired Dreamwalkers RFL Team and enjoy a virtual production of an Eagles concert like you’ve never seen them before! This group will take you back to the songs that were such an inspiration for so many and had hits that make you relive your moments associated with when you first heard that song! DRC/PM goes all out to create Virtual Concert that will leave you feeling good and happy that you attended. In addition, the Inspired Dreamwalkers Unique Easter Egg Hunt will give you an opportunity to grab some great Gacha prizes while contributing a most worthy cause. 100% of all proceeds from this event will go directly to the American Cancer Society. This entry was posted in American Cancer Society, Relay For Life of Second Life, Second Life, Team Events and tagged ACS, American Cancer Society, Concert, Donate, Donation, Fundraiser, Fundraising, Inspired Dreamwalkers, Inspired Dreamwalkers RFL, Relay For Life of Second Life: Passport to Hope, RFL, RFL of SL, RFL of SL 2017, Team, Tribute Concert, vendor, volunteer. Bookmark the permalink.